Gavin Schmidt is a climate modeller at the NASA Goddard Institute for Space Studies and Earth Institute at Columbia University in New York and is interested in modeling past, present and future climate. He works on developing and improving coupled climate models and, in particular, is interested in how their results can be compared to paleoclimatic proxy data. He has worked on assessing the climate response to multiple forcings, including solar irradiance, atmospheric chemistry, aerosols, and greenhouse gases. He received a BA (Hons) in Mathematics from Oxford University, a PhD in Applied Mathematics from University College London and was a NOAA Postdoctoral Fellow in Climate and Global Change Research. He was cited by Scientific American as one of the 50 Research Leaders of 2004, and has worked on Education and Outreach with the American Museum of Natural History, the College de France and the New York Academy of Sciences. He has over 100 peer-reviewed publications and is the co-author with Josh Wolfe of “Climate Change: Picturing the Science” (W. W. Norton, 2009), a collaboration between climate scientists and photographers. He was awarded the inaugural AGU Climate Communications Prize and was the EarthSky Science communicator of the year in 2011. He tweets at @ClimateOfGavin. Comments Off on Gavin A. Schmidt. Dr. Mann received his undergraduate degrees in Physics and Applied Math from the University of California at Berkeley, an M.S. degree in Physics from Yale University, and a Ph.D. in Geology & Geophysics from Yale University. His research involves the use of theoretical models and observational data to better understand Earth’s climate system. Dr. Mann was a Lead Author on the Observed Climate Variability and Change chapter of the Intergovernmental Panel on Climate Change (IPCC) Third Scientific Assessment Report in 2001 and was organizing committee chair for the National Academy of Sciences Frontiers of Science in 2003. He has received a number of honors and awards including NOAA’s outstanding publication award in 2002 and selection by Scientific American as one of the fifty leading visionaries in science and technology in 2002. He contributed, with other IPCC authors, to the award of the 2007 Nobel Peace Prize. He was awarded the Hans Oeschger Medal of the European Geosciences Union in 2012 and was awarded the National Conservation Achievement Award for science by the National Wildlife Federation in 2013. He made Bloomberg News’ list of fifty most influential people in 2013. In 2014, he was named Highly Cited Researcher by the Institute for Scientific Information (ISI) and received the Friend of the Planet Award from the National Center for Science Education. He received the Stephen H. Schneider Award for Outstanding Climate Science Communication from Climate One in 2017, the Award for Public Engagement with Science from the American Association for the Advancement of Science in 2018 and the Climate Communication Prize from the American Geophysical Union in 2018. He is a Fellow of the American Geophysical Union, the American Meteorological Society, the Geological Society of America, the American Association for the Advancement of Science, and the Committee for Skeptical Inquiry. Dr. Mann is author of more than 200 peer-reviewed and edited publications, numerous op-eds and commentaries, and four books including Dire Predictions: Understanding Climate Change, The Hockey Stick and the Climate Wars: Dispatches from the Front Lines, and most recently, The Madhouse Effect with Washington Post editorial cartoonist Tom Toles, and The Tantrum that Saved the World. He is co-founder of RealClimate. More information about his research and publication record can be found เว็บพนันบอล ดีที่สุด 2019here. Comments Off on Michael E. Mann. Caspar Ammann is a climate scientist working at the National Center for Atmospheric Research (NCAR). Dr. Ammann is interested in the reconstruction of natural climate forcings, natural climate variability, coupled modeling of natural and anthropogenic climate change, and data/model intercomparison. Dr. Ammann got his B.S. from Gymnasium Koeniz (Switzerland), his M.S. from the University of Bern (Switzerland), and a Ph.D. from the Department of Geosciences at the University of Massachusetts. Comments Off on Caspar Ammann. I am a physicist by training and have affiliations with the Norwegian Meteorological Institute [My views here are personal and may not necessarily represent those of Met Norway]. I have a D.Phil in physics from Atmospheric, Oceanic & Planetary Physics at Oxford University in the United Kingdom. Recent work involve a good deal of statistics (empirical-statistical downscaling, trend analysis, model validation, extremes and record values), but I have also had some experience with electronics, cloud micro-physics, ocean dynamics/air-sea processes and seasonal forecasting. In addition, I wrote the book ‘Solar Activity and Earth’s Climate’ (2002), published by Praxis-Springer, and together with two colleagues the text book ‘Empirical-Statistical Downscaling’ (2008; World Scientific Publishers). I have also written a number of R-packages for climate analysis posted http://cran.r-project.org. I was a member of the council of the European Meteorological Society for the period (2004-2006), representing the Nordic countries and the Norwegian Meteorology Society, and have served as a member of CORDEX Task Force on Regional Climate Downscaling. In my work, I often get questions from media and lay persons about climate change. I believe it is necessary to approach these questions with identifying what we really don’t know and what we are more sure about. I believe that some of Karl Popper ideas about falsification can be useful. Comments Off on Rasmus E. Benestad. Ray Bradley is Director of the Climate System Research Center (www.paleoclimate.org) at the University of Massachusetts, Amherst and a University Distinguished Professor in the Department of Geosciences. His interests are in climate variability and why climate changes, over a wide range of timescales. He did his graduate work at the Institute of Arctic and Alpine Research, University of Colorado, Boulder. 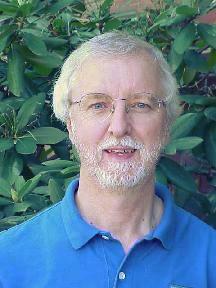 He has written or edited ten books on climatic change, and authored more than 100 refereed articles on the subject. In 2004, he received a Doctor of Science (D.Sc) degree from Southampton University (U.K.) for his contributions to the field of paleoclimatology. Ray Bradley has been an advisor to various government and international agencies, including the U.S., Swiss, Swedish, and U.K. National Science Foundations, the National Oceanic and Atmospheric Administration (NOAA), the U.S. National Research Council, the Inter-Governmental Panel on Climate Change (IPCC), the US-Russia Working Group on Environmental Protection, and the International Geosphere-Biosphere Program (IGBP), Stockholm. Comments Off on Raymond S. Bradley. When I joined RC, I was a climate modeller with the British Antarctic Survey. Now I’m a software engineer for CSR. I’m still interested in communicating the science of climate change, but can no longer do so at a professional level. I’m also elsewhere: the wikipedia project is developing into a useful resource, and my profile is User:William_M._Connolley. My personal vanity site is at www.wmconnolley.org.uk. One of the people in the picture is me. Guess which. ps: all my contributions online are released under the GFDL, unless I explicitly note otherwise. Comments Off on William M. Connolley. 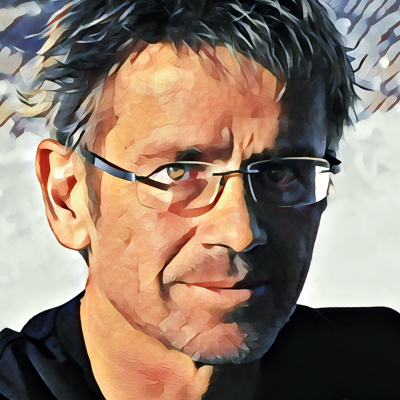 A physicist and oceanographer by training, Stefan Rahmstorf has moved from early work in general relativity theory to working on climate issues. Rahmstorf is a member of the Academia Europaea and served from 2004-2013 in the German Advisory Council on Global Change (WBGU). He was also one of the lead authors of the 4th Assessment Report of the IPCC. In 2007 he became an Honorary Fellow of the University of Wales and in 2010 a Fellow of the American Geophysical Union. Comments Off on Stefan Rahmstorf. 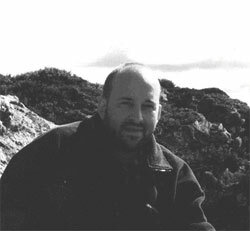 Jim Bouldin is a currently unaffiliated research ecologist, holding a BS in Wildlife Management from Ohio State University and a PhD in Plant Science from UCD. His primary research background/interest relates to forest change in response to human activity over the last ~ 200 years, and associated vegetation analysis methods issues, focusing on North America. 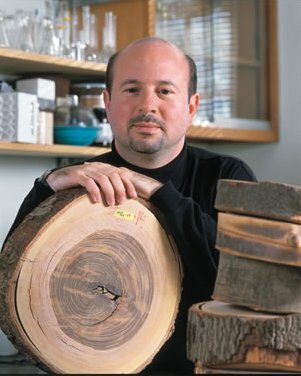 Relative to climate topics, He is interested in mathematical/statistical methods in the analysis of tree rings as climatic proxies, and the role of forest vegetation in the carbon cycle and larger climate system. More detail about his interests and work are here. Comments Off on Jim Bouldin. Eric Steig is an isotope geochemist at the University of Washington in Seattle. 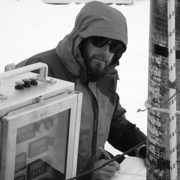 His primary research interest is use of ice core records to document climate variability in the past. He also works on the geological history of ice sheets, on ice sheet dynamics, on statistical climate analysis, and on atmospheric chemistry. He received a BA from Hampshire College at Amherst, MA, and M.S. and PhDs in Geological Sciences at the University of Washington, and was a DOE Global Change Graduate fellow. He was on the research faculty at the University of Colorado and taught at the University of Pennsylvania prior to returning to the University of Washington 2001. He has served on the national steering committees for the Ice Core Working Group, the Paleoenvironmental Arctic Sciences initiative, and the West Antarctic Ice Sheet Initiative, all sponsored by the US National Science Foundation. He was a senior editor of the journal Quaternary Research, and director of the Quaternary Research Center. He has published more than 100 peer-reviewed articles in international journals. Comments Off on Eric Steig.